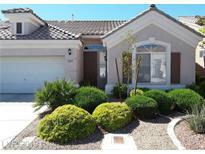 Below you can view all the townhouses for sale in the Aurora Twnhs subdivision located in Las Vegas Nevada. Listings in Aurora Twnhs are updated daily from data we receive from the Las Vegas multiple listing service. To learn more about any of these townhouses or to receive custom notifications when a new property is listed for sale in Aurora Twnhs, give us a call at 702-323-5933. Great Two Car Gaage With Direct Entry Into The House. MLS#2087774. Milestone Realty. The sparkling community pool & spa are a short walk away. MLS#2083040. Realty ONE Group, Inc.
Come visit and see for yourself! MLS#2080597. Vegas Capital Realty. 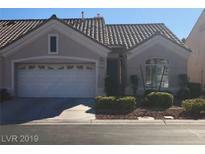 Minutes to Dwntwn Summerlin, McCarran, LV Strip. See it! MLS#2063425. BHHS Nevada Properties. Spacious Floorplan w/Vaulted Ceilings,Brand new Hardwood Floors & 3 Bedrooms.Open Kitchen features Breakfast Bar/Island Generous Master Suite w/Walk in Closets-Dual Sinks, Tub and separate Step in Shower* Large Living Room Custom Drapes Covered Patio* with gorgeous backyard to enjoy life *Original Owner took great care of the house with Love. MLS#2046653. Show Vegas Realty.